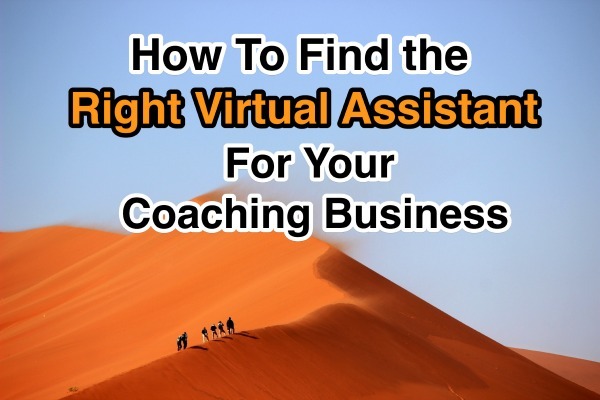 How to know if a virtual assistant is right for your coaching business? What are you looking for? It really depends on you, your business and what you’re looking for. In the interview process listen clearly to what’s being said and what’s not said or written depending on how you’re doing your interviews. If you’re looking for a virtual assistant who is a thinker, who will take a chance and offer suggestions, I recommend you hire someone who understands your business and your culture. One who has a similar communication style and one where there are no language barriers. It will make communication a lot easier especially on tasks that you aren’t 100% clear on yourself and need someone to help you flesh it out. Before you head out on your quest to search for a virtual assistant, it’s important to know what you want your virtual assistant to do and how you want her to help you in your business. On the forefront, the two seem as though they are the same however it’s a bit different. There may be additional task you’d like your virtual assistant to handle. It’s important to know what those items are prior to your search. Of course, you don’t have to know the specifics on how it’s to get done. An experienced virtual assistant will know the best way to handle the tasks you give her. During the interview process, you want to see if the way she would handle it is suitable for your business. Find out whether or not she has supported clients this way in the best. If you are interested in a virtual assistant to go beyond the tasks and make recommendations to you, start at the interview point. Get a feel for whether or not she is comfortable making suggestions. Find out what programs and services she has found to be most helpful when working with clients in your industry. For example, if you are looking for a virtual assistant to provide email support for your business. Ask what tools she’s used in the past outside of a regular email account to answer emails. This is useful if you plan to use a system like ZenDesk or HelpScout either now or in the near future. If she has experience using these tools, she’ll have an opinion about them, which she finds easier to use, and what makes the most since for your business. Let’s say you want technical support during your Webinars, ask what systems she is comfortable using and has supported clients with in the past. What are her thoughts on GoToWebinar, WebEx, Fuse, or AnyMeeting? If she can answer your questions in relation to recommendations, then you know not only is she experienced, she’s also knowledgeable and brings value to your business beyond offering additional hands to complete tasks. By having an open conversation during the interview process, you get a better feel of who your virtual assistant is as a business owner. Ask the questions you want the answers to. Be direct. No beating around the bush. If you’re not comfortable asking your questions during the interview process, that’s a strong indication that the partnership will not work between you and the virtual assistant. In order to get clear answers, you’ll need to ask clear questions. And if you aren’t sure how to be clear, the right virtual assistant will ask you questions until they are clear on what your’e looking for and can help you from there. When this happens, you’ll know you’ve found the right virtual assistant for you and your business if this is one of the areas you struggle with. Make sure your expectations are realistic. I’ve seen situations where business coaches wanted a virtual assistant to build their business for them and that’s just not what a virtual assistant does. If you are looking for someone to help you in your marketing efforts, that’s one thing. However if you are expecting your virtual assistant to take you from 0 to 6-figures that’s an absurd request. It’s your business, not the virtual assistant’s business. 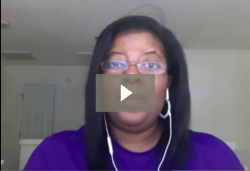 A virtual assistant business owner is looking to assist you in building your business. Some virtual assistants are only used to being doers, so when you ask for recommendations it will be uncomfortable for her. She may focus more on the specific tools that you are using or just ask out right what you are using and go with that. There’s nothing wrong with this type of virtual assistant, unless you are interested in having someone who is more of a partner with you in the sense they can advise and recommend systems and tools that you may not be familiar or experienced with. Once you know what tasks you need help with AND what type of virtual assistant you want, it’s time to venture out and start looking for them one that suits your business coaching business best.